I am a PhD student in UC Berkeley Vision Science, with a focus on computer vision. I am currently advised by Prof. Stella Yu. Previously I was a research intern at Sensetime. I received my B.E in Electronic Engineering from XJTU in 2018, where I worked with Prof. Jinjun Wang at Institute of Artificial Intelligence and Robotics. Rudrasis Chakraborty, Jiayun Wang, Stella X. Yu. This work develops a novel deep learning architecture for naturally complex-valued data, with improved results and only 10% of the parameters as the baseline model. Ziwei Liu, Zhongqi Miao, Xiaohang Zhan, Jiayun Wang, Boqing Gong, Stella X. Yu. This work formally defines the problem of open long-tailed recognition (OLTR) as optimizing for the overall accuracy of a naturally-distributed dataset with the presence of open classes. Zhongqi Miao, Kaitlyn M Gaynor, Jiayun Wang, Ziwei Liu, Oliver Muellerklein, Mohammad S Norouzzadeh, Alex McInturff, Rauri C K Bowie, Ran Nathon, Stella X. Yu, Wayne M. Getz. This work aims to interpret the concepts behind the convolutional neural networks (CNNs) in classifying wildlife. Jiayun Wang, Patrick Virtue and Stella X. Yu. This work aims to address the overfitting problem in remote sensing image classification. Sanping Zhou, Jinjun Wang, Jiayun Wang, Yihong Gong and Nanning Zheng. This work presents a novel metric learning method based on P2S similarity comparison for person re-identification. Jiayun Wang, Sanping Zhou, Jinjun Wang and Qiqi Hou. This work designs a dynamically adaptive loss function to overcome the drawbacks of conventional loss functions for person re-identification. Peter J. Wang, Zhongxia Yan and Jeffrey Zhang. We use a hierarchical approach for long-term video prediction, aiming at estimating high-level structure in the input frame first, then predicting how that structure grows in the future. Peter J. Wang, Qiuyu Zhang, Jingwen Zhu and Zhongqi Miao. We designed and implemented a stereo camera system which is able to estimate the height and moving direction of the animal. Loren Jiang, Peter J. Wang, Qiuyu Zhang and Jingwen Zhu. 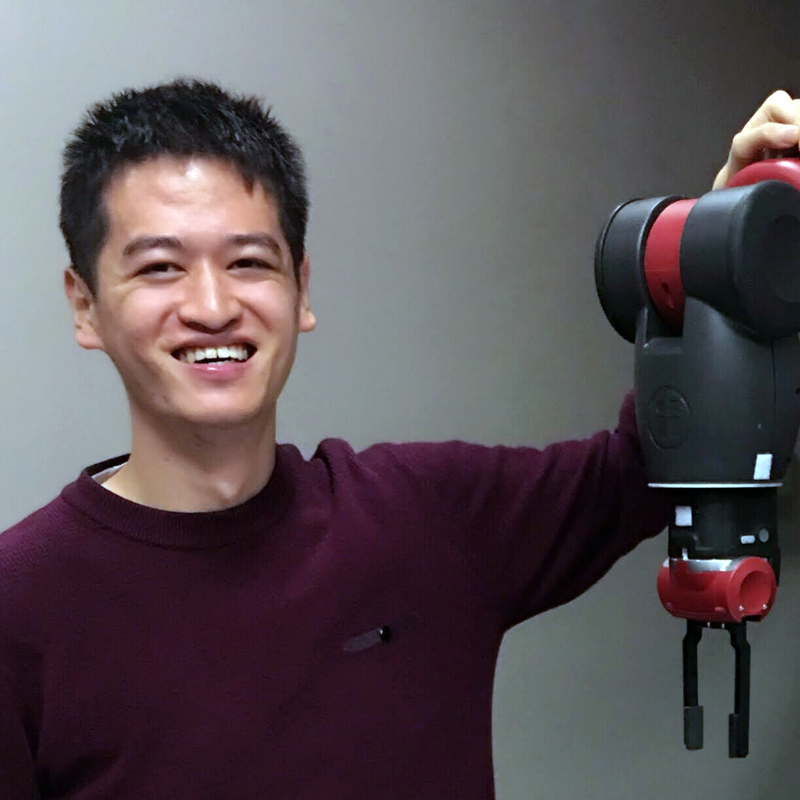 Our robotic system (Baxter) is able to recognize a number unique objects on the workspace and move them to their desired positions with relatively low rates of failure.